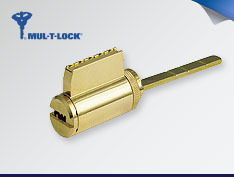 Products Archive - Page 3 of 5 - Able Locksmith & Door Service, Inc.
WatchLock® is a unique combination of a high security padlock with GPS locating system and cellular based communication capabilities which provides real-time event and location information through email, text message and web based applications. 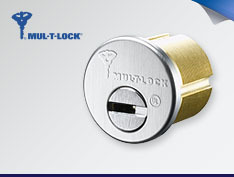 A robust and intelligent padlock, which both guards and reports, WatchLock is ideally suited to secure a wide variety of properties and possessions. 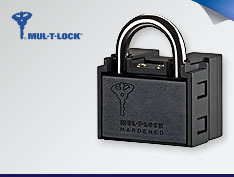 WatchLock adds increased security to both mobile and stationary applications including containers, vehicles, machinery, warehouses, ports, military bases, industrial areas, cell towers, water wells and much more by serving as your own portable gatekeeper. 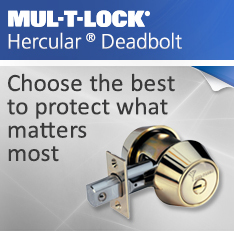 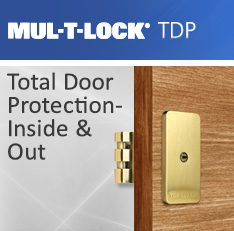 Mul-T-Lock's extremely wide range of key in deadbolt cylinder options allow you to easily upgrade the security of existing deadbolts by simply switching out the cylinder – no hardware modifications or reinstallations required. 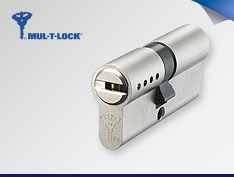 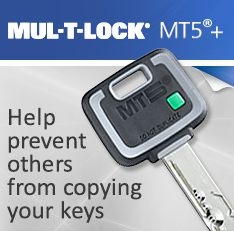 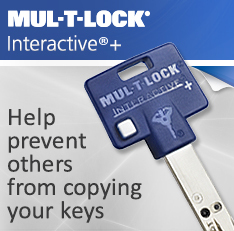 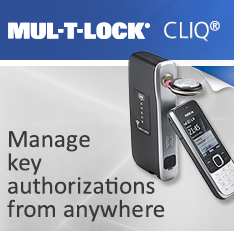 Mul-T-Lock's Interchangeable Core cylinders are designed for flexibility, allowing you to remove, replace and relocate a lock's cylinder mechanism by using a unique control key. 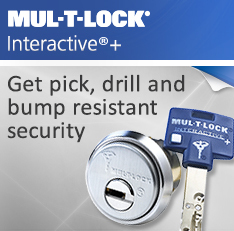 With the ability to make changes to your cylinder with a control key, you can minimize both labor and hardware costs, most particularly where there is a high rate of turnover. 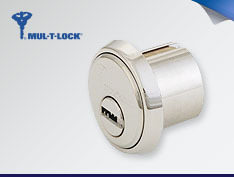 The Mul-T-Lock Rim Cylinder is suitable for both commercial and residential surface mounted door locksets. 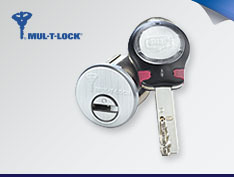 Highly flexible it can interface with a wide range of locksets from many major brands. 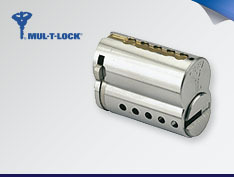 It also supports a variety of lock mechanisms. 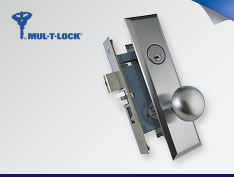 Mul-T-Lock Mortise Cylinders can be used for both residential and commercial door locksets. 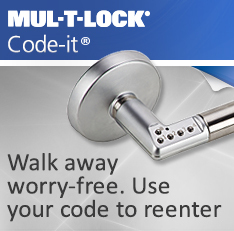 Available in a wide variety of sizes and designed for installation into virtually any existing mortise lockset, they allow you to change the cylinder of your Mortise lock without replacing all of the hardware. 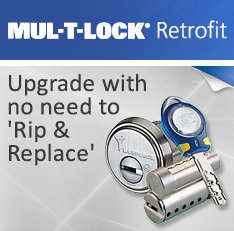 Compatible with most major brands including Adams Rite, Yale, Corbin Russwin, Sargent and more. 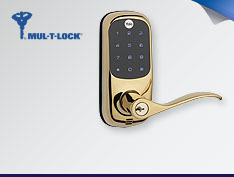 Yale's RealLiving™ offers residential, Grade 2, easy to program, touchscreen e-lever locking for up to 25 users. 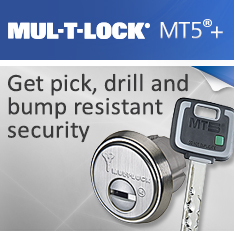 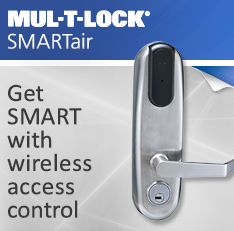 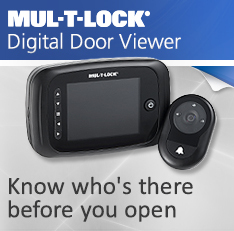 This solution is wire-free, easy to install and comes equipped with Mul-T-Lock's high security mechanical key override.